The next upcoming Employee Appreciation Day is on Friday March 6th, 2020. Employee Appreciation Day is held on the first Friday in March allowing management to show thanks and reward for their workers hard work throughout the year. Next month on the last Wednesday of the last week in April is Administrative Professionals Day also celebrating and honoring those professionals in the workplace. Bosses and Management will often show their support and thanks by bringing in food, having a party, giving time off, doing team building exercises and other activities that show appreciation to their employees and workers for their hard work and dedication. 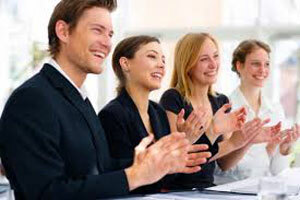 The Recognition Professionals International first established Employee Appreciation Day back in 1995. This day is not recognized through out the United States and is not an official national holiday. The holiday is still gaining popularity in the United States along with Take our Daughters and Sons to Work Day that has been gaining support since the mid 1990's .